The Xbox 360, PlayStation 3, and Nintendo Wii are nearing their end. As powerful as they have been in the living room, gamers want more. They want better graphics, new user experiences, and more mobility, as much as those things can be at odds with one another. A new wave of game consoles is rising to meet some of those challenges, but perhaps not all: the Nintendo Wii U doesn’t seem to be that much more powerful than an Xbox 360, and the next Xbox and PlayStation are rumored to use what amounts to mid-range PC hardware in order to save costs. Meanwhile, PCs haven’t stood still. There’s never been a better time to build a gaming PC, thanks to cheaper components and the amazing catalog of inexpensive games you can find on digital distribution platforms. I say “digital distribution platforms” because I don’t want to be unfair to the likes of Origin, Impulse, and Good Old Games, but I’m really talking about Valve Software’s Steam, which has steadily become a juggernaut of gaming. Steam now has 50 million users, of which five million are simultaneously active at the peak of any given day. Xbox Live has somewhere north of 40 million subscribers, by comparison. Admittedly, you don’t have to pay $50 a year for a Steam account, and both the PlayStation 3 and Xbox 360 have each sold about 70 million units in total, but it sounds like Steam could also have the audience of a game console. Now, Valve’s trying to give Steam the leanback experience of a game console, too. With Big Picture Mode, a new feature in the latest Steam beta release, Valve’s adding an interface designed specifically for your TV. The company is also actually building game controllers in its labs, and has already produced three different prototypes. Theoretically, you could simply run an HDMI cable from your desktop or laptop to a TV (something that was rather difficult a number of years ago), flop down on your comfortable couch with a controller and play your favorite titles. But Big Picture Mode isn’t enough to turn Steam into a game console, because it doesn’t own the platform. Steam currently runs on Windows and Mac, both of which are becoming closed ecosystems with built-in app stores… app stores which also include games. 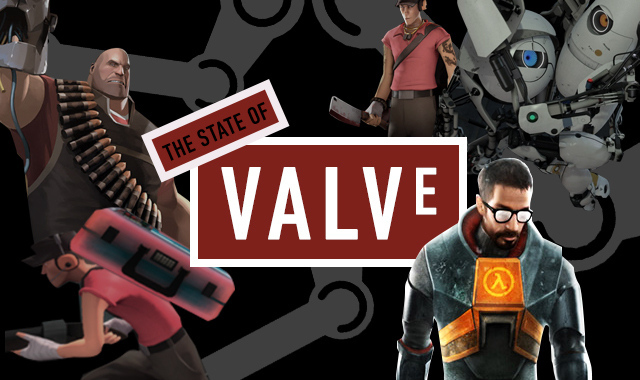 Not only is Valve beholden to its competitors in terms of the way Windows and Mac evolve, but the traditional Steam business may also be at stake. When a game developer can offer their games directly through the Windows Store or Mac App Store that’s built into every new computer, why go with Steam? When a developer can offer their games through a store that’s built into every new computer, why go with Steam? Perhaps that’s one of the reasons that Valve co-founder Gabe Newell is calling Windows 8 a “catastrophe.” Perhaps that’s why Valve is building Steam for Linux. Earlier this month, Valve opened up a beta of Steam for Linux to 1,000 lucky users. Valve didn’t do it quite alone: the company enlisted the support of Nvidia to write Linux drivers, and is working with Intel and AMD as well. According to the company, Valve’s own games are running faster on Linux than on Windows right now. Still, getting gamers — and game developers — to switch to Ubuntu might be hard. But what if Ubuntu Linux wasn’t the target here? What if instead, Valve was building its own Linux-based operating system? You could call it Steam OS. Rock Paper Shotgun‘s John Walker proposed the idea a few months back, and it makes sense. Valve could take the same approach that Google took with Android by licensing the operating system to hardware manufacturers, and create a new platform in the process. Perhaps the Amazon Kindle Fire makes for a better analogy: where Amazon crafted a lightweight, purpose-built system that revolves around shopping, Steam OS could revolve around games. And one of the things that Valve might ask of its licensees is a minimum hardware spec. In March, we reported that Valve was working on a “Steam Box,” a prototype for a hardware baseline that manufacturers like Alienware would follow in order to be part of the program. One of the problems that has dogged PC gaming for years is that the hardware is always a moving target, one that’s difficult for game developers to hit. When you buy a PC game, there’s no guarantee that it will work, or work well. Game consoles, on the other hand, have a fixed spec that’s easy to build for and guarantees proper playback. An organization known as the PC Gaming Alliance once promised to solve the issue by instituting a baseline spec that would be updated every few years, and we’ve heard that Valve may pursue the same idea. You know what else attracts developers? Crazy tools to develop for, and a store that promises to help them profit from their work. Valve is already hard at work on the first: in addition to game controllers, the company’s prototyping virtual reality headsets. Leaks suggest that the next-gen Source Engine 2 is on the way, and it’s probably a safe bet that it will support Linux. Meanwhile, the company’s also experimenting with a program called Steam Greenlight that has the community vote to publish indie games on Steam, possibly attracting innovative, desirable diamonds in the rough that would otherwise appear first on PlayStation Network or Xbox Live Arcade. The viability of a Steam store on Linux would depend on how many gamers Steam attracts, but Valve has additional ways to help bring them on board. When the company first launched Steam in 2003, the gaming community didn’t embrace it right away. When Valve made Steam the best, quickest way to get the hotly anticipated Half-Life 2, though, the platform picked up speed. Now, Valve has a whole set of potential sequels that could convince gamers to try Linux, including Half-Life 3 (or perhaps Half-Life 2: Episode 3), Portal 3, Team Fortress 3, Left 4 Dead 3 and perhaps an eventual Dota 3 as well. And don’t forget that Steam isn’t limited to games anymore. Recently it’s come to light that there are all kinds of experiments going on at Valve. Because the company doesn’t have a traditional chain of command, employees can propose whatever project they want, and assemble their peers to work on it. In order to be sure that Linux support wasn’t just an experiment, I asked Valve’s Anna Sweet to tell me a bit about the project. The response was heartening. She said that they “believe Linux offers another destination for Steam games and services,” and that “Linux is a logical next step as it offers an open environment for development.” While she couldn’t tell me how big the Linux team was, she said that it is growing. She also confirmed that the Linux beta won’t be limited to 1,000 people for long. “The goal is to add, test, refine, and repeat until everyone is in,” she told me. Would Valve consider making any games exclusive to Linux? “Never say never. But we generally try to bring our games and services to as many as people as we can and, in some cases, as the design fits with the platform,” she said. Certainly, it would be a little out of character for Valve to put all its eggs in one basket, and Newell has been adamant that a closed console platform isn’t the way to go. But Valve and PC gaming itself could benefit from just the right amount of control. If Valve can own the software and hardware stack with Steam OS and the Steam Box, it will be able to offer a single platform with better specs, a dedicated fanbase, intriguing new hardware, games that just work, and proven delivery mechanisms that get gamers to buy and buy often. If Valve pulls it off, it could be enough to win the living room from Sony, Nintendo, and Microsoft.